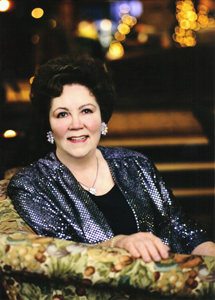 Award-winning Christian author and Women of Faith Speaker emeritus, Barbara Johnson died July 2nd, 2007, of cancer. Diagnosed with a brain tumor in early 2001, she valiantly fought central nervous system lymphoma for six years, as well as adult onset diabetes. By forming the foundation, we can reach more people and provide the helping hand of counseling and support for families experiencing grief and loss. Award-winning Christian author and Women of Faith Speaker emeritus, Barbara Johnson died July 2nd, 2007, of cancer. Diagnosed with a brain tumor in early 2001, she valiantly fought central nervous system lymphoma for six years, as well as adult onset diabetes. During her final illness, she amazed the publishing world by adding four more titles to her long list of best sellers, including a poignantly humorous book about her cancer, Plant a Geranium in Your Cranium. Known as the "Geranium Lady" after her book Stick a Geranium in Your Hat and Be Happy, Barbara won the hearts of millions with her trademark wit and humor formed in the fire of adversity. One of Barbara's favorite humorists to emulate was Erma Bombeck. She was also known in many literary circles as the "Christian Erma Bombeck." Barbara's books include: Stick A Geranium In Your Hat and Be Happy, Splashes of Joy in the Cesspools of Life, Pack Up Your Gloomies in a Great Big Box then Sit on the Lid and Laugh!, Mama Get the Hammer, There's A Fly On Papa's Head, I'm So Glad You Told Me What I Didn't Want to Hear, Living Somewhere Between Estrogen and Death, He's Gonna Toot and I'm Gonna Scoot, Daily Splashes of Joy, Humor Me -- I'm Your Mother, Laughter From Heaven, Stick A Geranium in Your Cranium, Leaking Laffs Between Pampers and Depends, God's Most Precious Jewels are Crystalized Tears and many others. Most of her books have hit the Christian Book Association's paperback bestseller list, and more than five million copies of her books are available worldwide in 44 editions and have been translated into 10 foreign languages. Barbara Johnson founded the non-profit Spatula Ministries 30 years ago with her husband Bill Johnson. This year she saw the need to expand her ministry, and asked her eldest surviving son David Johnson to establish a foundation in her name to continue her work. Barbara said, "By forming the foundation, we can reach more people and provide the helping hand of counseling and support for families experiencing grief and loss." David Johnson (known as Larry in many of her publications) said, "We intend our Website to provide updated information and referrals for those in crisis, seeking an understanding and compassionate heart from counselors to support groups in their local areas through our online message board. And of course, my mother's new humorous electronic newsletter, The Love Line will be offered free of charge, along with a 'Joy Room' bookstore where her books, calendars, dolls, cards and various other memorabilia can be ordered." Barbara Johnson lost two sons, one in Vietnam and one at the hands of a drunk driver. Another was estranged for several years. Her husband, Bill, died three years ago, and she was diagnosed with Central Nervous System Lymphoma (CNS), a brain tumor and also diabetes. Known to have beaten the odds of adversity by using her experiences and faith to help others, she was awarded the prestigious Life Time Achievement Award from the Evangelical Christian Publishers Association in July 2005. Her book Stick a Geranium in Your Hat and Be Happy sold over one million copies. Her proposed final book, Joyfully, Barb!, was in the discussion stage with her publishers, Thomas Nelson, Inc. before she died. Mr. Johnson said, "There will be a memorial service in California sometime in September celebrating my mother's life. The location and date will be announced in the very near future. Those interested may go to our Website http://www.BarbaraSpatulaJohnson.com where we will post all relative information as soon as it is available." Barbara is survived by her sons David and Dean, two granddaughters, Kandy and Tiffany, and two great grandchildren. In lieu of flowers and at Barbara's request, donations may be sent to The Barbara Johnson Foundation, Inc., P.O. Box 2444, Palm Springs, CA 92263-2444. Barbara Johnson, 1927 - 2007A file photo of christian author and humorist, Barbara Johnson.